ChimeraX is the next generation verion of Chimera. It will replace Chimera in a couple years, but has new features that may be usful to you now, e.g. ambient occlusion lighting. Nightly builds are on the web site. SBGrid also has it, but will be less frequently updated on SBGrid. Movie making for cryoEM structures. 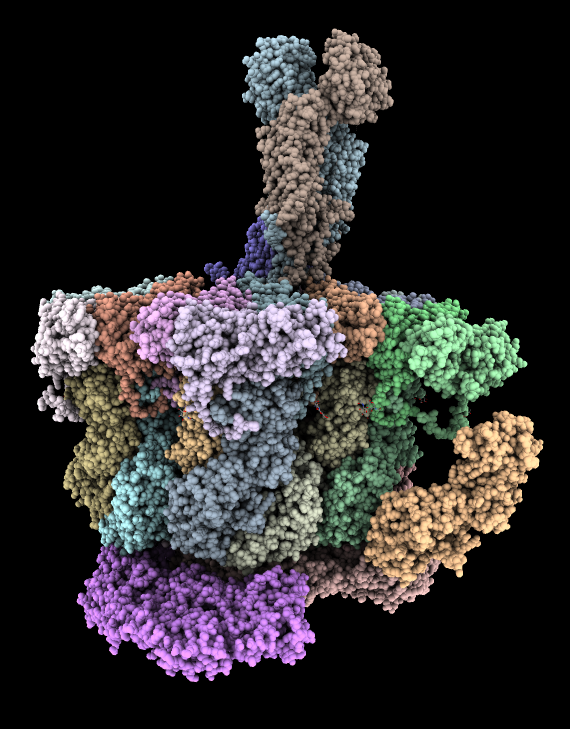 Morph atomic structure of virus. 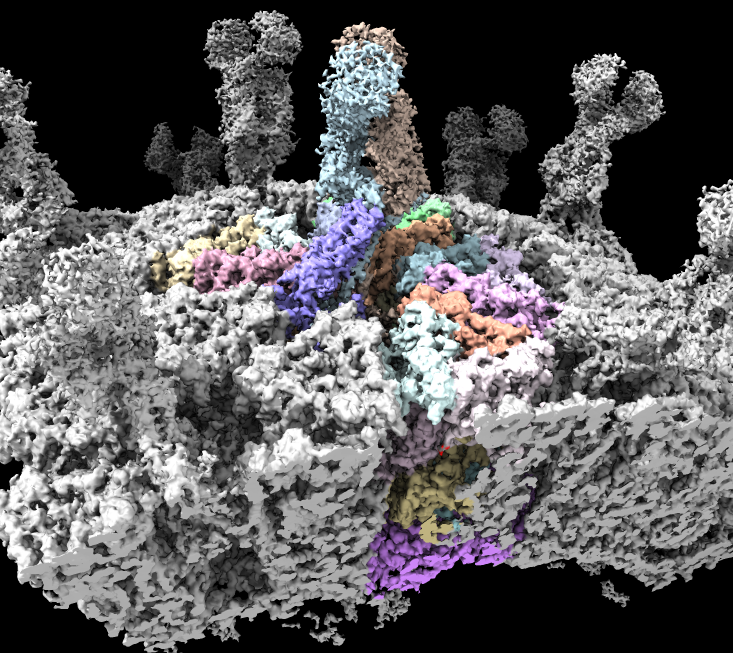 Show fit of each residue in cryoEM density. Cellphone virtual reality 360 degree movies. Rotavirus EMD 5199, 3.8 Angstrom, 1 octant of map, 5003 grid points. Adjust contour level using vertical bar on histogram. Adjust step from 2 to 1 (full resolution). Ambient shadows make indentations dark. Compare to simple lighting and single shadow. Fit atomic model PDB 4v7q, ambient lighting helps depth perception. Color zone to color map to match atomic model. Deformed wing virus, honey bee pathogen, colony collapse disorder. Morph to show large domain motion. 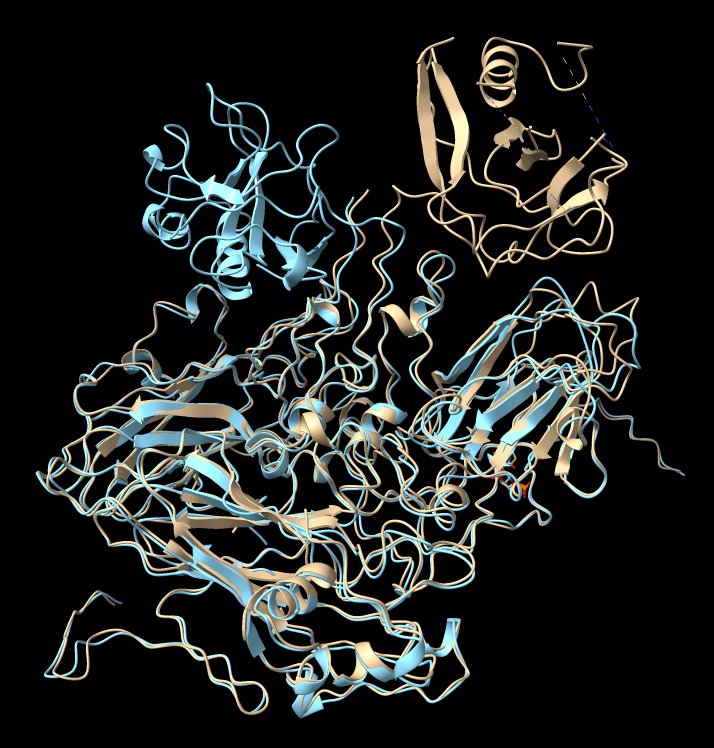 Different conformations of surface domain of VP3, moves 39 A and rotates 145 degrees. 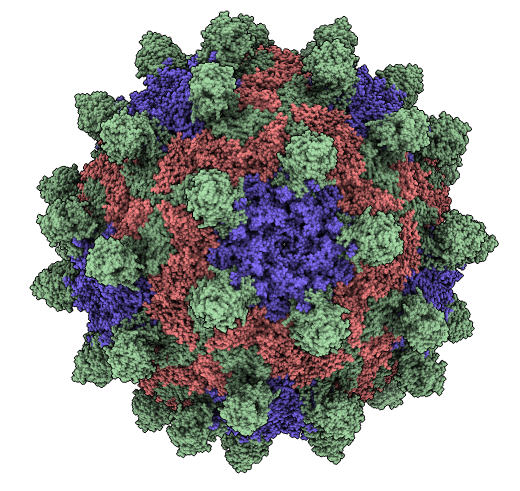 Show morph of full virus capsid. Hide ribbon, show atoms as spheres, turn on ambient shadows (use toolbar icons instead of commands). Show morph. Slow with ambient shadows (1 second per frame), so use simple lighting. Record a movie with full lighting. Movie. 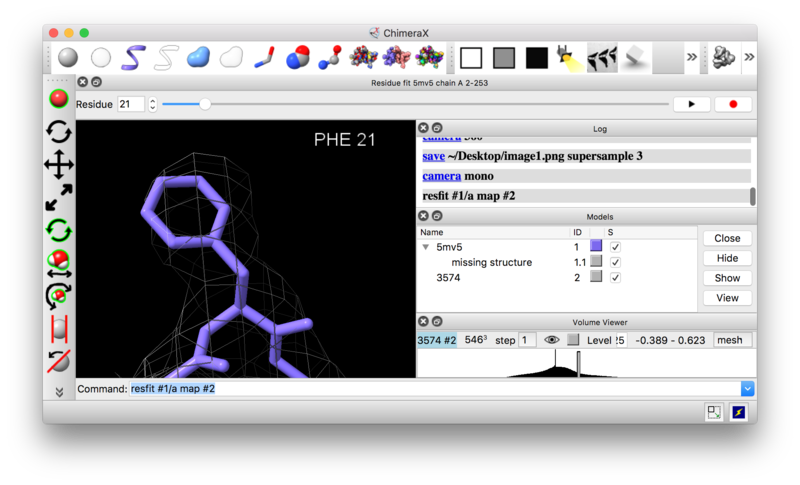 Open atomic model and EMDB map. Start residue fit display for chain A. Use slider and play buttons to display each residue in sequence. Record a movie. Press record button then stop button to make resfit.mp4 on desktop. 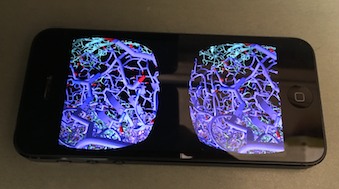 Immersive view from inside deformed wing virus 5-fold symmetry axis pore. 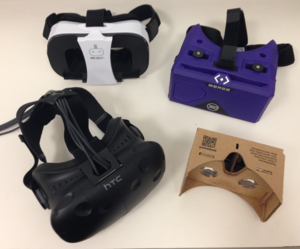 360 degree stereoscopic molecular scene can be viewed using a cellphone and a virtual reality headset. Record image or movie using camera mode 360tb. Top have is left eye 360 degree image, bottom is right eye 360 degree image. Use a square window size. Record high resolution image, e.g. 4k by 4k. Full 4k image.